One of my colleague was getting married last Saturday and this was my outfit for her wedding. Simple, still proper even tough I wore sneakers. 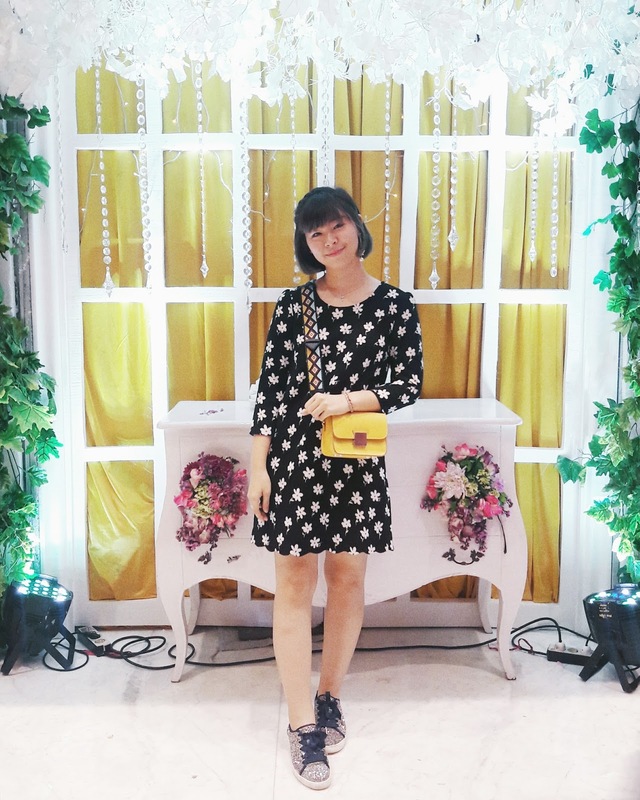 That blink blink was an excuse for sure 😂😂 I was wearing old dress from Cache Cache, Zara sling bag, and Stradivarius sneakers.